In the South we love our Mint Juleps, Jack Daniels, Sweet Ice Tea with a little kick, Bourbon, and Gin, along with some other timeless classics. 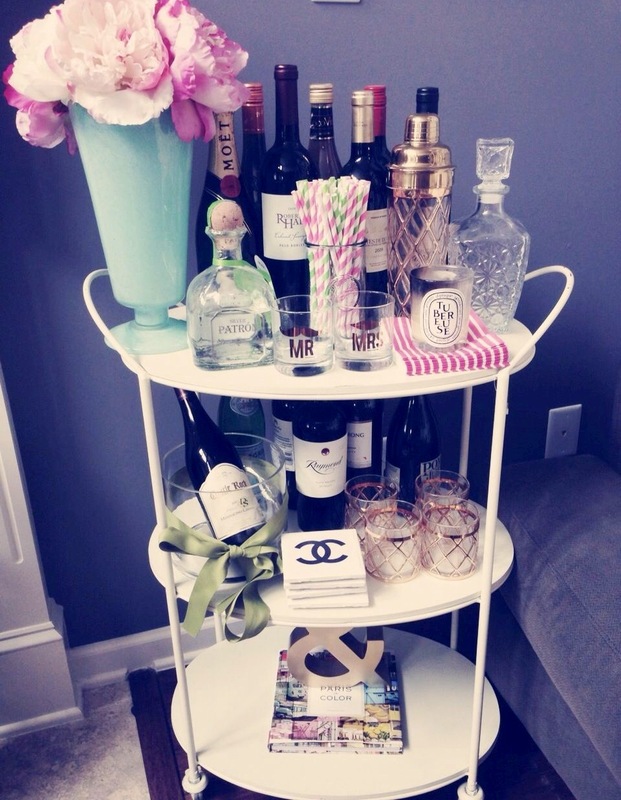 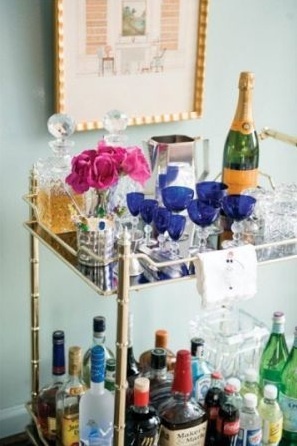 What better way to display some beautiful glassware, artfully decorated bottles, and mix drinks on then a bar cart. 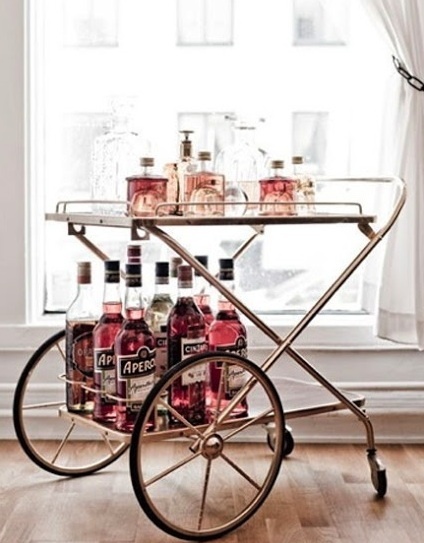 Bar carts have become more and more popular over the past few years and seem to be on their way to becoming a furniture staple. 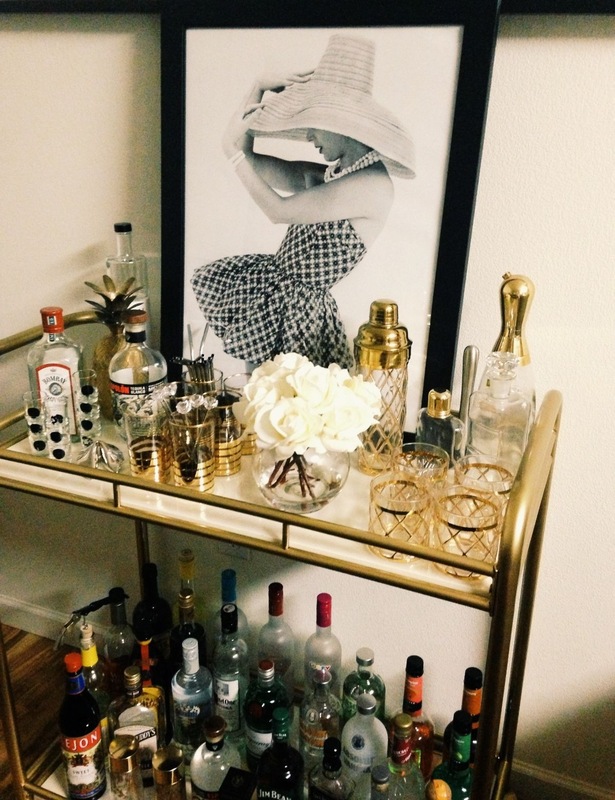 I love the vintage feel of the bar cart and the extra pop of character they can add to a room. 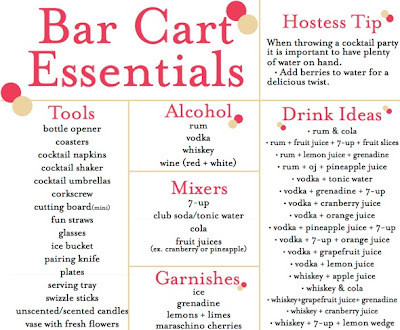 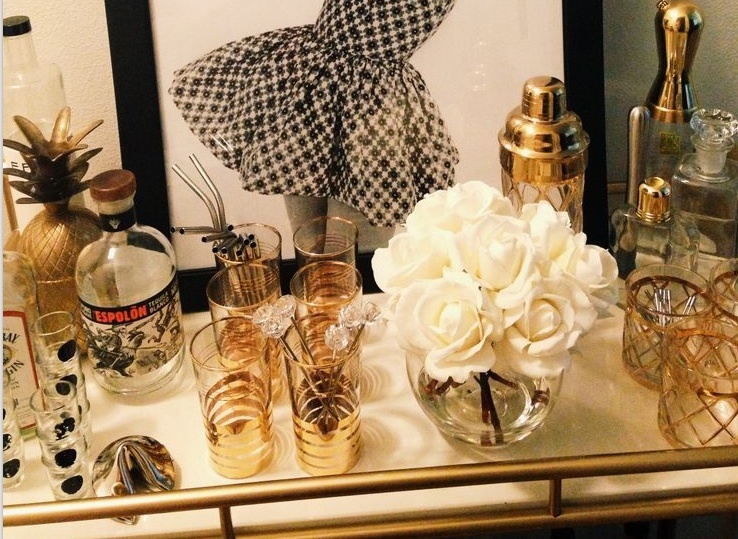 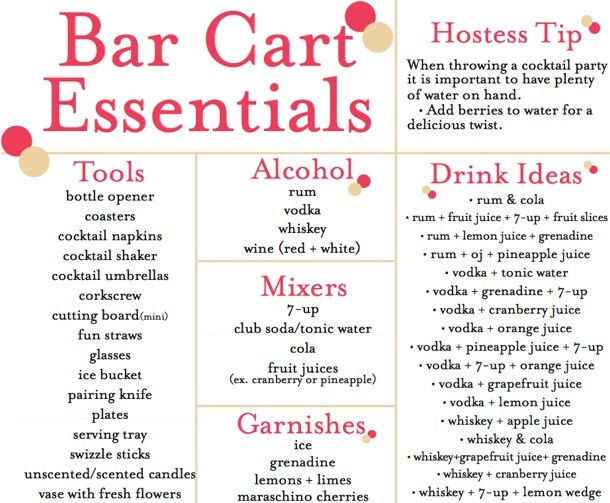 So whether you are thinking about buying a bar cart or are still trying to figure out a few ways to style the one you already have…here are a few style tips I have come across.